Veterinary Ethics: Navigating Tough Cases. 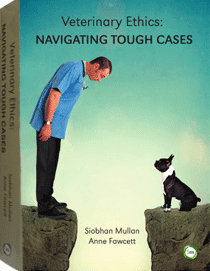 Veterinary practice can be confronting. There are life and death decisions to be made. The question of just because we can, does it mean we should is raised frequently. The fact that our patients never consent to invasive procedures. And the potential for conflict between the interests of the owner, the animal or animals, the vet and even their employer. I am also very grateful to colleagues, friends and family whose animals are pictured in the book (with names changed). 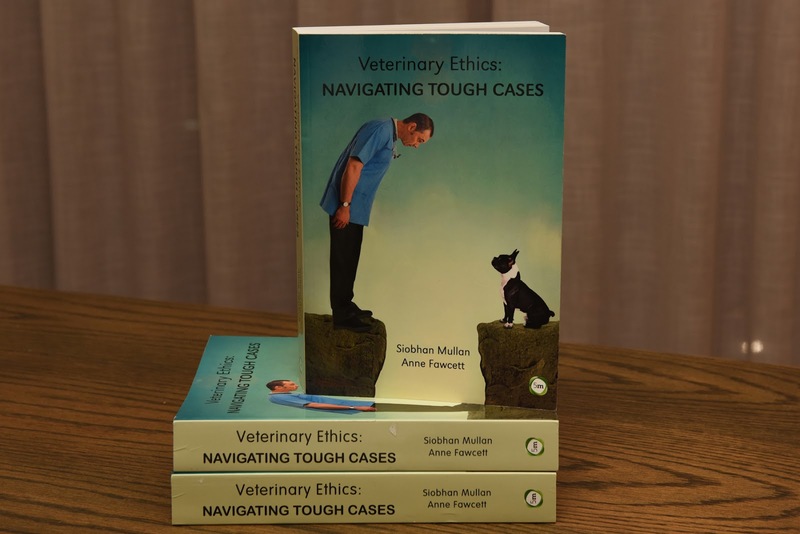 For several years I had the privilege of working with Dr Siobhan Mullan, from the University of Bristol, and collaborators from around the world, on a textbook of veterinary ethics. This is for vets, vet students, nurses and those who work with animals. It is published by 5M. 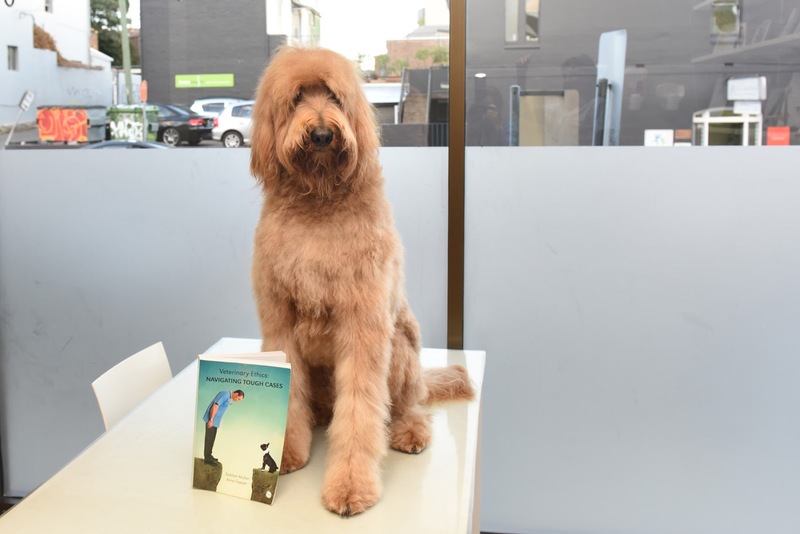 Ellie May poses with the book. 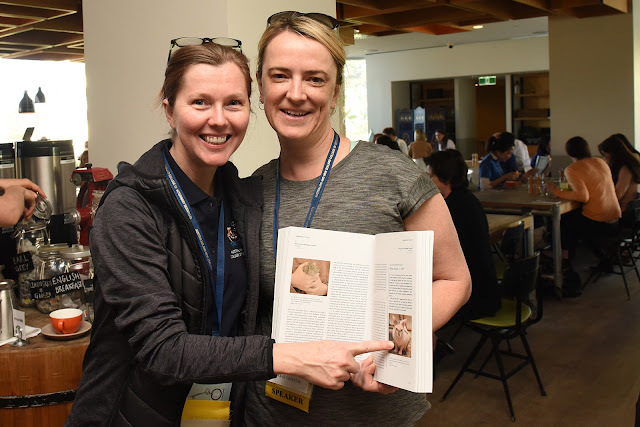 There were many late nights, early mornings, two international meetings and some awesome typesetting involved, as well as support from a lot of colleagues. It was a major effort on the part of many people, and the final product weighs almost as much as Phil. VETtalk Online interviewed me about the book, and you can watch the two-part interview here. Copies can be ordered via Amazon.